You aren't alone if you've never sat down to think about your adrenal cortex or your adrenal medulla - the two sections of the adrenal organs - and what part they play in your daily life. Aside from sounding vaguely like galactic quadrants from a futuristic film plot, the adrenal glands are actually the stars of the endocrine system. They are small triangular shaped glands that are perched on top of the kidneys - but don't let their size distract from the power they have. These two-part glands are responsible for producing some pretty strong hormones. The outer part of each gland produces two very distinct and important hormones. The first is called cortisol, and its job is to control stress by smoothing out the edges when stress is high, and it also plays a key role in regulating your metabolism. The second hormone created by the outer portion of the adrenal gland is called aldosterone, and it helps to stabilize and keep your blood pressure under control. Both of those hormones are essential to life. The inner part of the gland is where your adrenaline is produced, and while this is not required for living, it does help give you that burst of energy needed in emergency or life-threatening situations. When we are faced with a stressful situation, or one that requires us to have that burst of energy to take action, the adrenal system kicks in and supplies the right hormone for the situation. And that is a good thing - in small doses. The problem we face in our 'always on, always connected' lives, is that the stress doesn't ever seem to go away. It just compounds. And so we end up with an adrenal system that is running in high gear nearly 24 hours a day. That leads to exhaustion of the organ, and also leaves an abundance of cortisol that has been released into our bodies. And while a little cortisol at the right times is good, excessive cortisol can have negative effects on the rest of your system. For example, while your body is busy churning out all that cortisol, your other hormones slow their production. Hormones like estrogen and testosterone — which lead to lowered libido, and sexual dysfunctions — as well as DHEA, are significantly decreased during excessive cortisol production. At this point, you are experiencing from 'burnout' and suffer from depression, weight loss, and a general feeling of disinterest in anything. 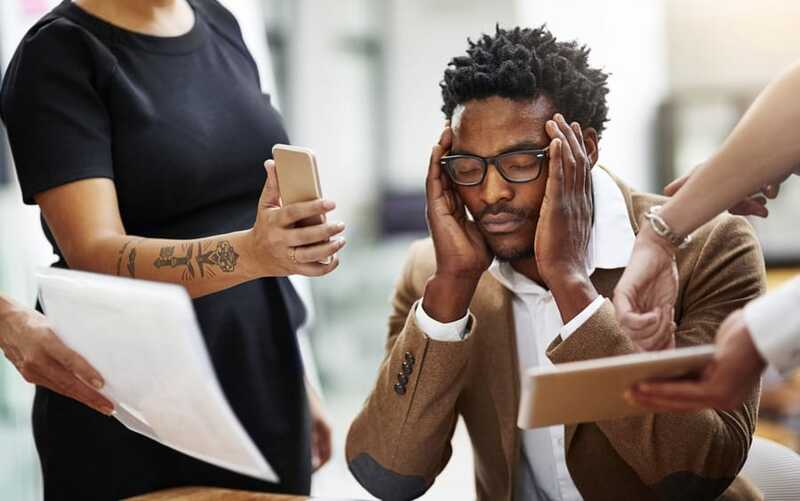 Some of the signs that are common to adrenal stress and fatigue include dry or thinning skin, unexplained hair loss, weight gain, hair loss, memory loss, and more. Adrenal fatigue has also been linked to mild depression, reduced libido, trouble fighting infection, food cravings, exhaustion, and hypoglycemia (low blood sugar). What can be done to recover from adrenal fatigue? The process of getting to the burnout stage takes some time - it happens over the course of several month or years. So the path back to complete hormonal balance is going to take some time as well, and often will require you to make some lifestyle changes to allow for healing, and to prevent falling back into the condition. It's important that you allow your self the time to recover, and don't try to rush or push yourself. When you are tired, get some rest. Make sure you get adequate sleep time - at least 8 hours. Minimize or reduce stress in your daily life - this may mean you take a different position at work, or even change careers. What is a Functional Medicine approach for treating adrenal fatigue? One of the ways we treat adrenal imbalance is through the use of natural compounds which help to keep the stress response under control. These compounds are known as adaptogens. When lifestyle changes are used in conjunction with a Functional Medicine approach, which includes testing and rebalancing hormone levels, ensuring you get proper nutrition, and identify and eliminating the causes of internal stress, recovery from adrenal fatigue is definitely possible. Dr. Kristen Lindgren has helped hundreds of patients successfully heal from adrenal fatigue. And put your body into cruise control. Adrenal fatigue is brought on by extended periods of chronic stress, or other underlying medical issues like Cushing syndrome. When this happens, your adrenal system can't stop releasing cortisol, and can have the affect lowering the production of other hormones. As with other hormonal conditions, adrenal fatigue can be caused by chronic inflammation triggered by allergies, leaky gut, toxicities or infection. Getting between 8-10 hours of sleep per night is essential. It allows your body to reset and reduce the amount of stress naturally. Reducing or eliminating the foods that cause inflammation will allow your body to begin healing. Try to remove gluten, grains, dairy, sugar and members of the nightshade family.